“Then everyone who survives of all the nations that have come against Jerusalem shall go up year after year to worship the King, the Lord of hosts, and to keep the Feast of Booths” (v. 16). Following the restoration of the Israelites to their homeland after the exile, Ezra and Nehemiah led the people in renewing their covenant with God, and part of this covenant renewal included celebrating the Feast of Booths, or Sukkot (Neh. 8:13– 18). Since the feast celebrated the Lord’s guidance during the wilderness wanderings after Israel’s redemption from Egypt, it was appropriate to commemorate this deliverance once again after the nation was rescued from exile in Babylon. On account of the people’s impenitence, the glorious restoration promised to Israel did not materialize after their return to their land (Mal. 1–4), so God sent the prophets Haggai, Zechariah, and Malachi to urge the people to repent and purify their worship so that the restoration could come. Speaking to His people through Zechariah, the Lord promised that restoration was, from a human perspective, delayed but not cancelled. Instead, the Creator would establish His people in glory once more after that day when He destroyed His enemies. This is the point of Zechariah 14. Israel’s final restoration includes the celebration of Sukkot, as seen in today’s passage. All the survivors of the nations will go up to Jerusalem to keep the Feast of Booths, and any who refuse will not receive the blessing of rain (vv. 16–19). Many believers expect this to be fulfilled explicitly as written — one day people from all over the world will make pilgrimages to a newly built temple in Jerusalem each fall to celebrate Sukkot. Yet this interpretation misses the point, for God is only describing the salvation the earth will enjoy in a manner understandable to old covenant Israelites. Sukkot was a celebration of God’s salvation, so to promise that non-Israelites would join in this feast is to say that non-Israelites will be incorporated into Israel, the people the Lord has saved. This makes sense only if God saves Gentiles as well. In other words, the covenant Lord of Israel will redeem a large number of people who are not ethnic Israelites. Sukkot was also the time when Israel looked to the Almighty to bless them with winter and spring rains that would meet their needs for irrigation and thus provide them with the food they needed to survive. To say that the nations who do not celebrate Sukkot will not receive rain is simply another way of saying that those who will not follow Israel’s Lord will not receive His blessing. 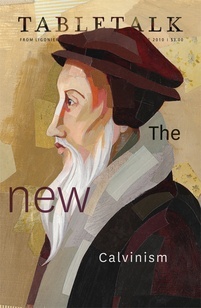 John Calvin comments on Zechariah 14: God subdues “all the enemies of his Church, and in two ways, for some he would destroy, and he would humble others, so as to make them willing servants and ready of themselves to obey his authority.” We should be grateful to God for every material blessing we have, but we should especially express gratitude and humility for His work of salvation in joining us to His covenant people (see Rom. 11:11–24).